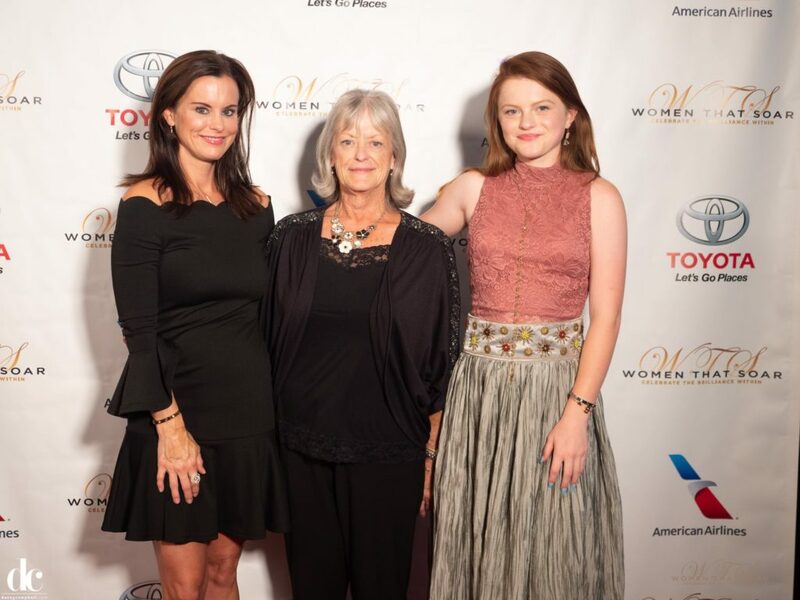 On Thursday, June 14 at the Statler Hotel located in Dallas, TX, a fabulous event was held to announce the 2018 recipients of the upcoming Women That Soar Awards. 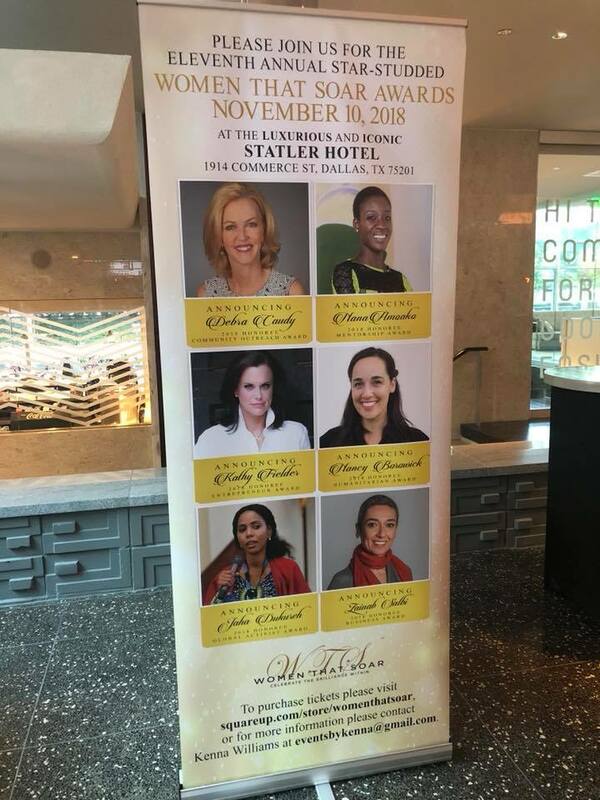 The 11th annual nationally televised awards show will take place on November 10th, 2018 at The Statler. 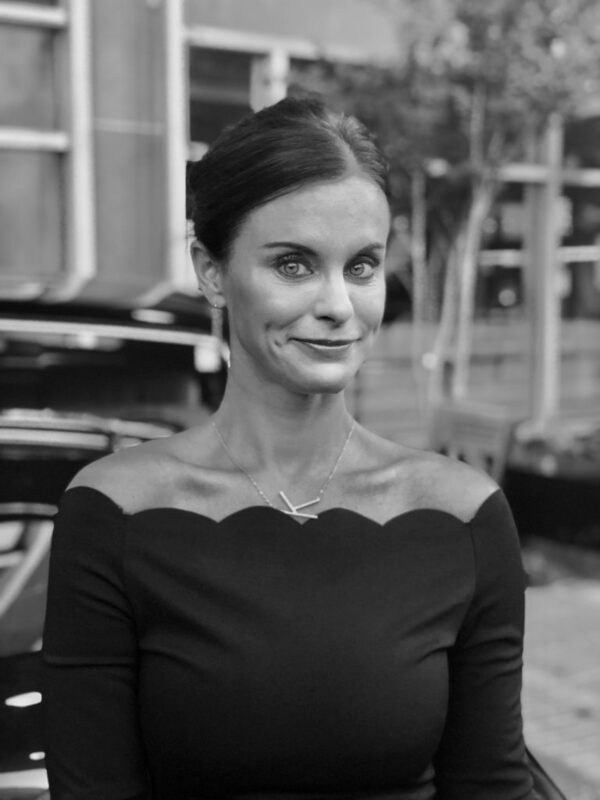 Founder Gina Grant has a vision to spotlight a diverse group of women, who have overcome personal and professional obstacles and have soared to success from around the globe! The reception announced 6 outstanding women who are making an impact and will be honored at the awards show in the fall. We are honored to announce our very own Kathy Fielder is the Entrepreneur Award Honoree. 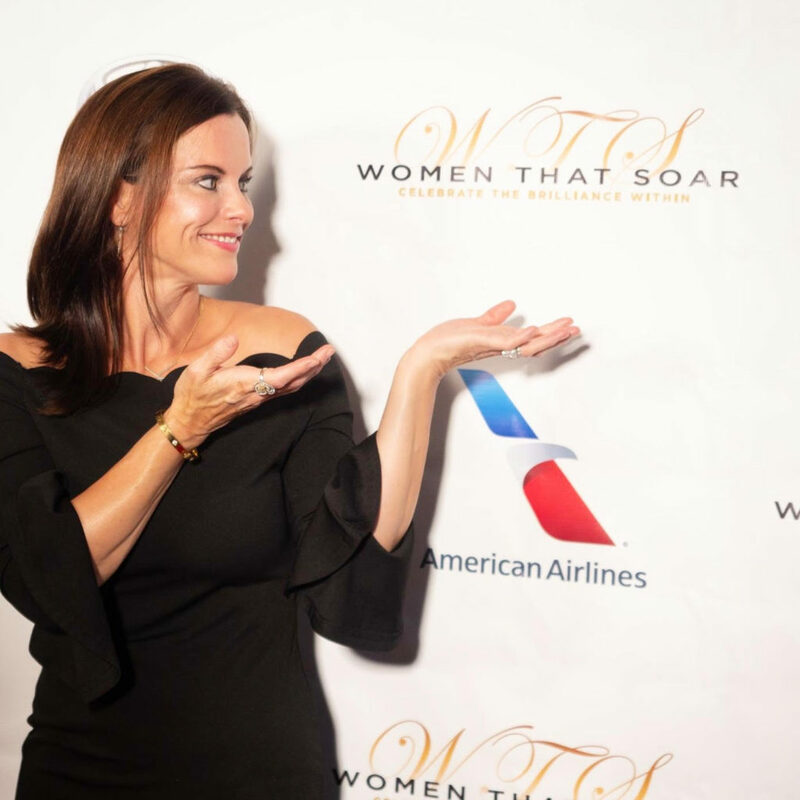 The mission of Women That Soar is to empower all women to feel confident in their unique talents and capabilities. 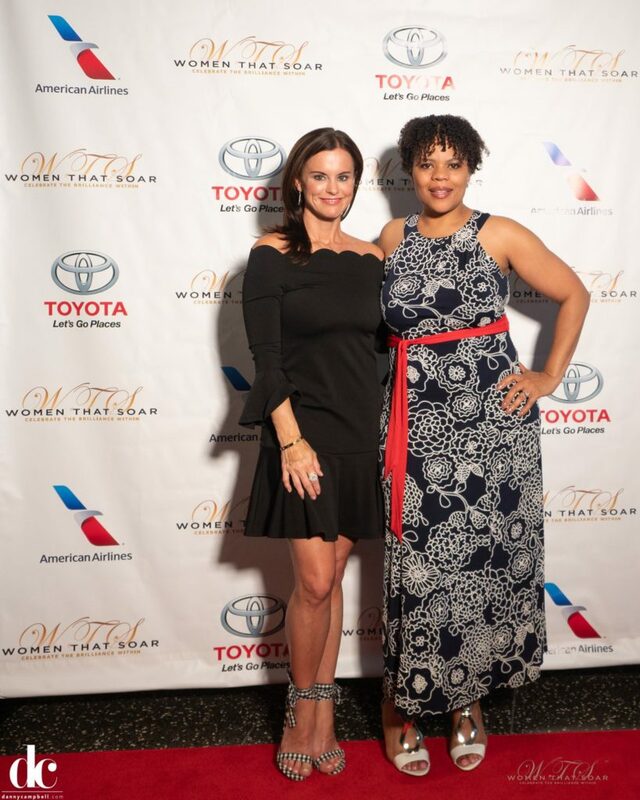 Women That Soar shares the message of the power of unity and strength in any woman’s journeys to lead productive, enriched lives while empowering and supporting those around them. 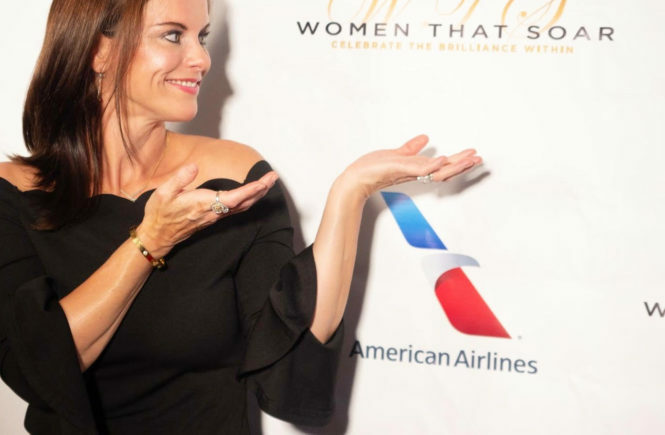 We can confidently and undoubtedly say, Kathy and all 5 of the other honorees exhibit these characteristics and so much more in their everyday lives. Read more about all of the honorees and learn about the mission of WTS here. 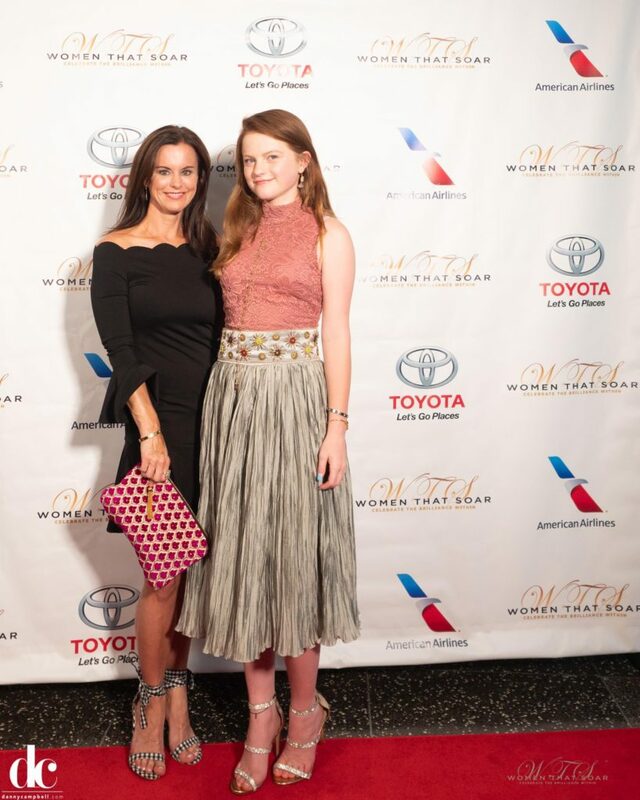 Kathy pictured with her daughter, Isabella. 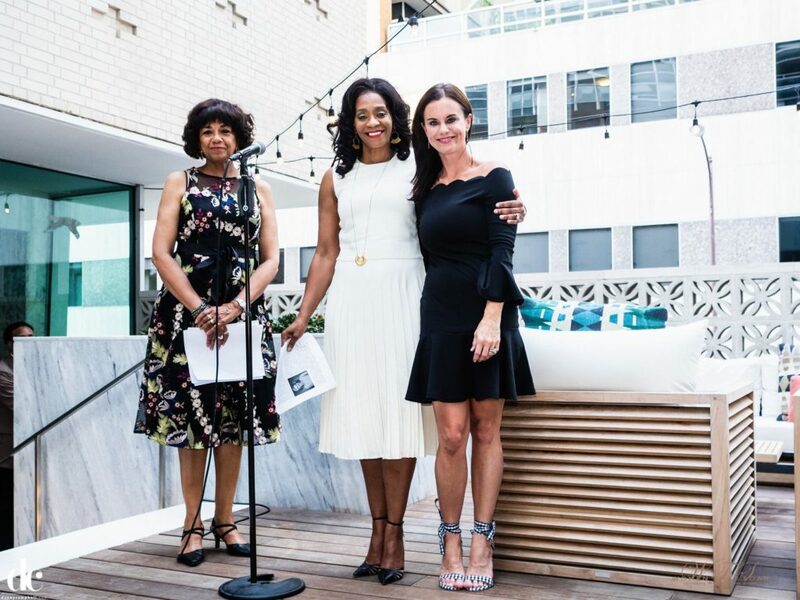 Kathy with Founder of Women That Soar, Gina Grant and President of the Academy Awards Cheryl Boone Isaacs. Kathy with friend and artist LaToya Jones. Kathy pictured with her daughter, Isabella, and mother, Mary. Join us for this inspiring event. Purchase your tickets here. Kathy pictured in front of the Statler Hotel in Dallas. 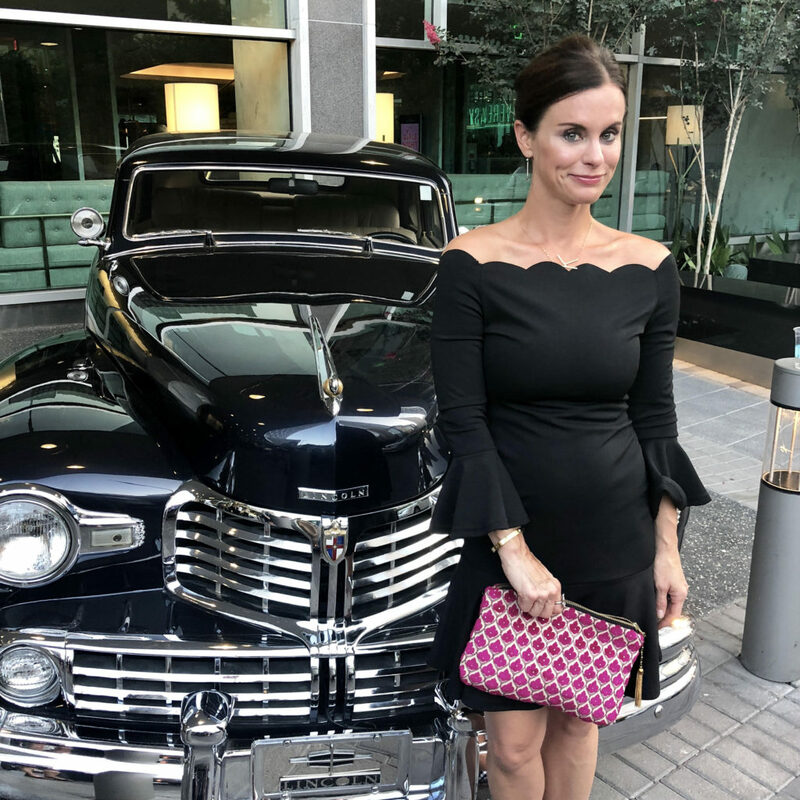 Her necklace, dress and clutch are from KF Design | Life | Style boutique. 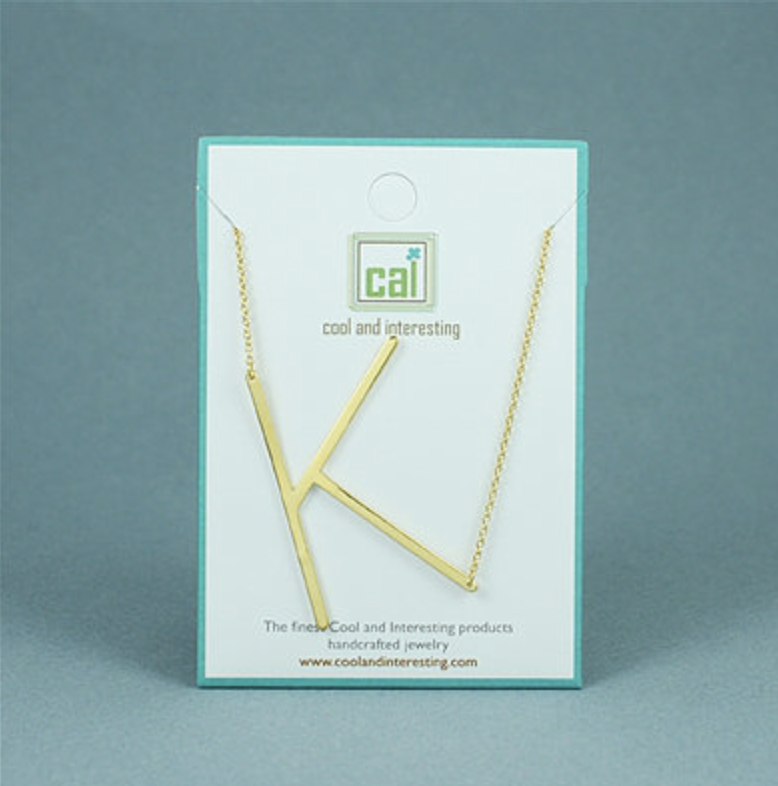 Shop the CAI necklace here. 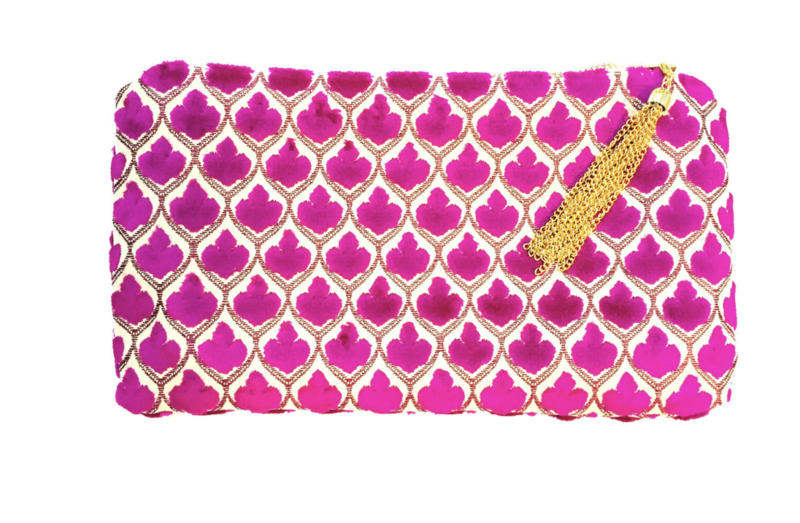 Get the Isabella Collection Clutch here. 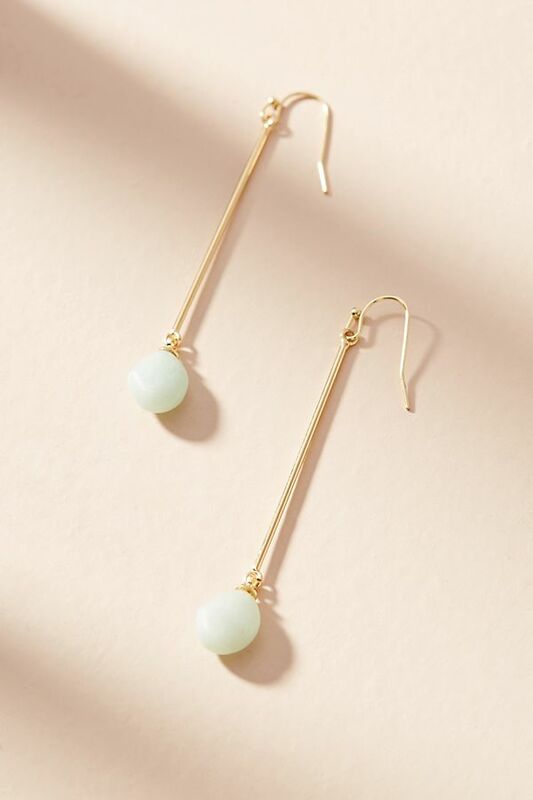 Tumbled Stone Drop Earrings from Anthropologie. 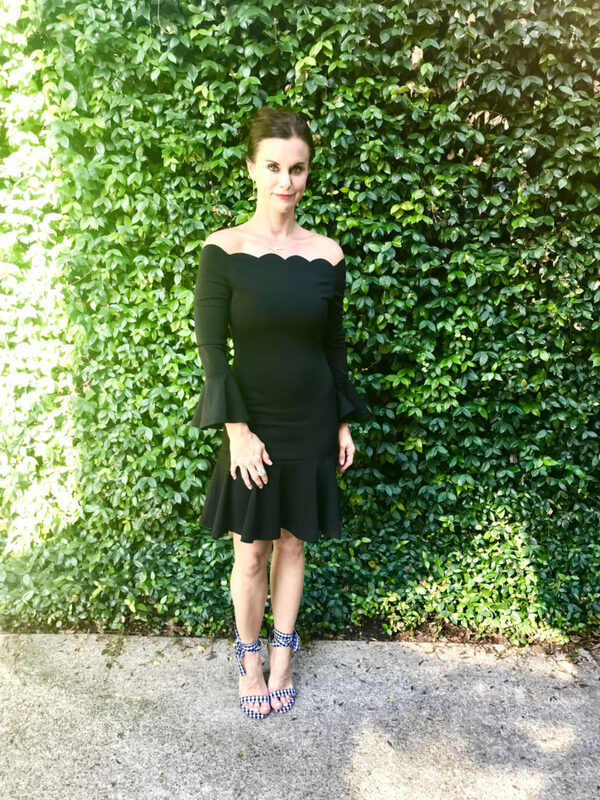 Likely Everly Scalloped Dress from Neiman Marcus. Kathy’s adorable shoes were from a location no one could believe…Forever 21! 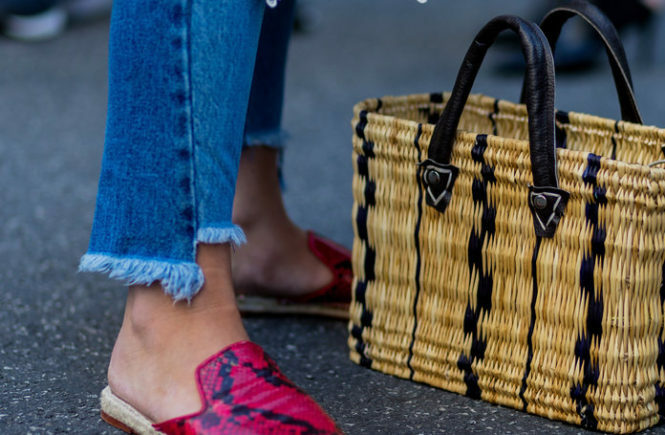 Not only are they totally chic, they don’t break the bank either! Shop them here. 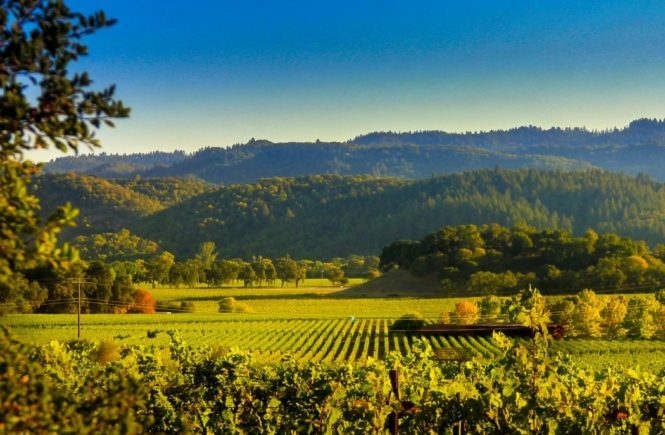 Napa Style ~ It’s Crush Time!